A small valley but a rich selection of wines. A wine region unique in the world that host more than 35 wine makers. 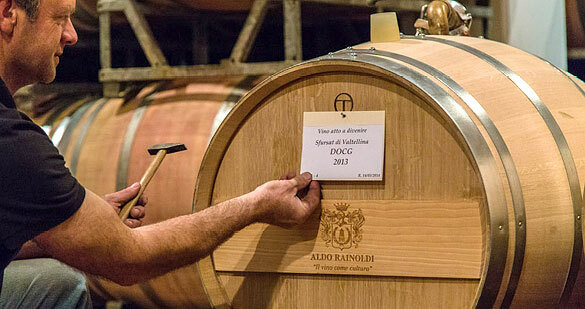 This is a great chance to discover the Nebbiolo grape guided by the wisdom of the small producer and by the experience of the historic cellars. Ask the reception for more info. Book your visit. A 67 km trail between the terraced vineyards passing through ancient little villages and beautiful sunset. 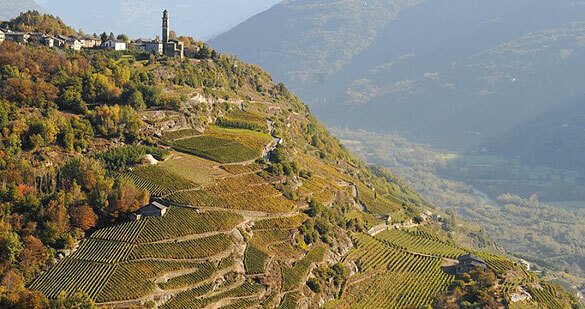 Let’s discover this region, let’s taste the Nebbiolo of the Alps. Adventure, emotions and a lot of adrenalin! 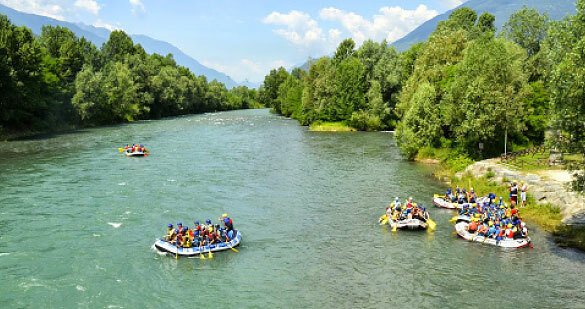 Let’s get excited and enjoy your stay in Valtellina: try rafting on the “Adda” river and appreciate the nature from a different view. 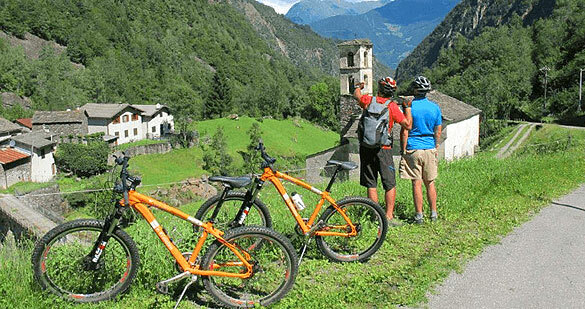 Valtellina is the perfect place for your bike! 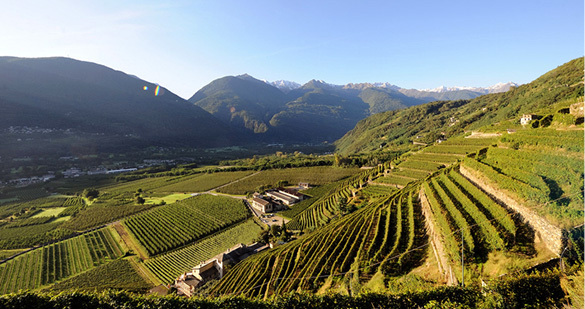 The “Sentiero Valtellina” is a 114 km trail that pass through the whole valley from Colico to Bormio. There are many picnic area well equipped. If you like adventure you can choose wonderful trails on the Alps with an e-bike. The mountain chain of the” Orobie Alps” is the first you can find coming to north. The landscape is wild and fascinating and the presence of the human being is certified by many refugees and alpine pasture. An ideal destination for a rural tourism and for people that love adventure. 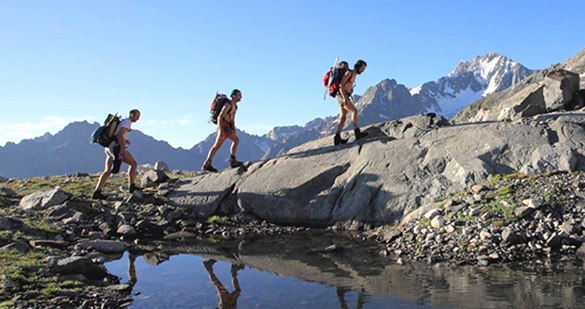 Not so far from the hotel an extraordinary valley called Valmalenco offers you an ideal destination for every type of hiking with its impressive peaks and huge valleys. Very famous is the “Alta via della Valmalenco”, a high height hiking that connects a lots of alpine refugees. Also the Rhaetian Alps offers a very nice trail that goes from Morbegno to Tirano. A good chance to enjoy the rural scenery of the valley and its interesting cultural patrimony. 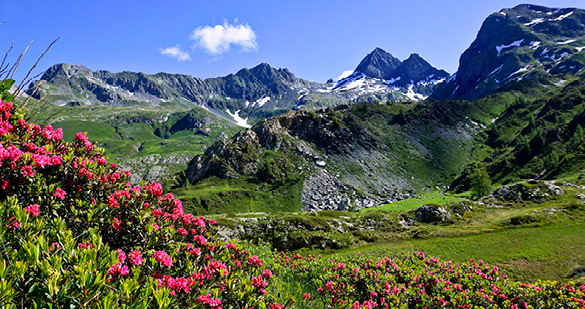 Playing golf surrounded by the alpine scenery of Valtellina is a breath-taking experience. 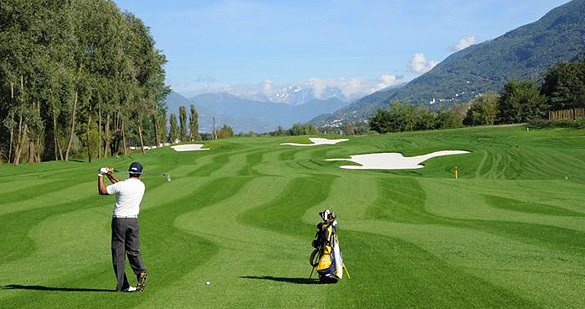 Not so far from the hotel, the Valtellina Golf Club offers a fascinating 18 hole golf course. The panorama is simply amazing, leafy and rich: you also have the chance to admire the great scenery of the terraced vineyards. 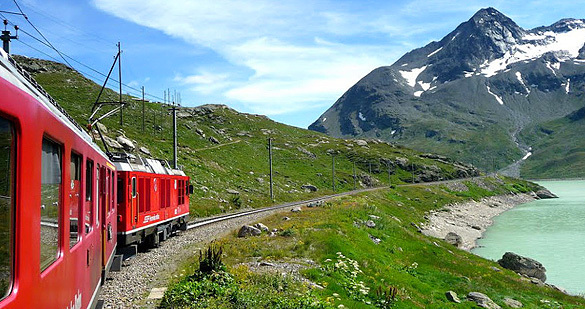 The famous "Bernina express" Red Train became part of the Unesco site in 2008. It goes from Tirano to St.Moritz: the pearl of the Engadine. The highest alpine railway line fits in the spectacular mountain range of the Bernina glacier with its 2253 meters and it offers an incredible scenery to admire in each season. An experience to live at least once in a lifetime. 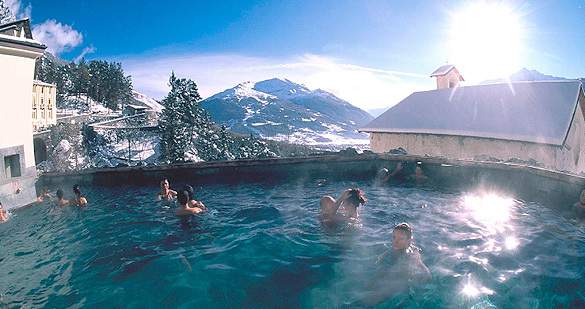 Bormio’s thermal baths are the perfect destination to take a break and to get in touch with a unique territory. There are 2 different sites, in fact: you can enjoy the romantic atmosphere of the “Bagni Vecchi”, well-known during Roman Empire or enjoy the luxury of the “Bagni Nuovi”. The “Storico Ribelle” better known as “Bitto” because of its rigid way to produce it, it’s an extraordinary meditation cheese. The” Centro dello Storico Ribelle” in Gerola Alta well worth some of your time because it is a fantastic chance to get in touch with this wonderful product. A great sensory experience and incredibly emotional. 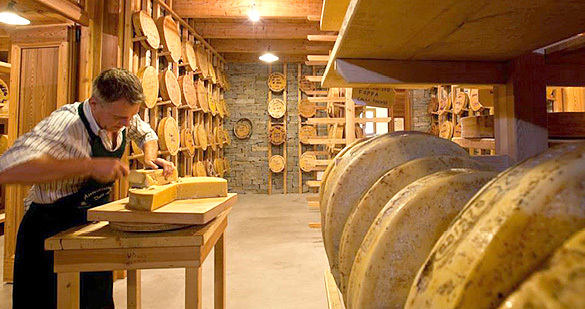 The Orobs Alps and Val Gerola, in fact, encapsulate the essence of an original alpine scenery rich of ancient cheese-making tradition. 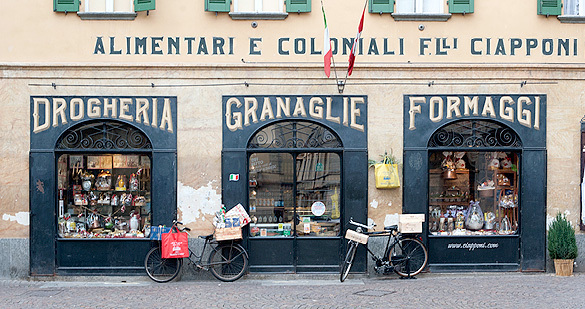 In the city center of Morbegno, the “Fratelli Ciapponi” store is easily recognisable thanks to the historical sign “Drogheria – Granaglie – Formaggi – Cordami". You will be surprised by the back room: an astonishing sequence of arches, columns and cellars full of excellent local products. 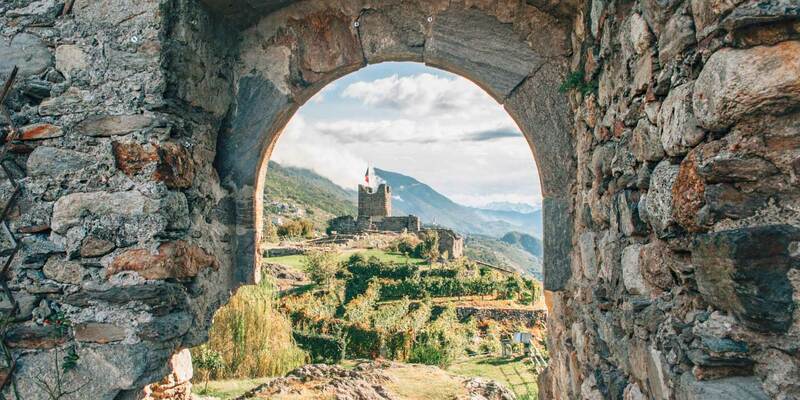 The association, founded to preserve, promote and spread the “Pizzocchero of Teglio”, offers many initiatives to encourage and to increase Valtellina’s oenogastronomy. Several restaurant along the valley impeccably carry out the recipes of the “Accademia”. 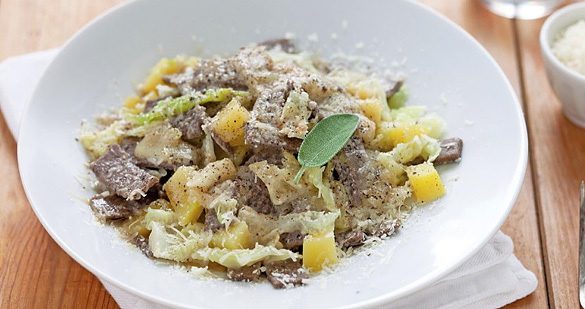 Many poor dishes of the local tradition and modern re-imagining recipes are waiting you: Valtellina tastes good! 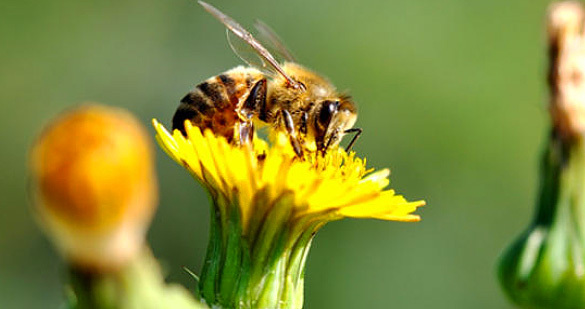 The sweet divine nectar produced on the Alps truly surprised for the intensity of its flavor. A lot of variety: from the very rare rhododendron to the chestnut, the dandelion and the old-fashioned polyfloral honey of our mountains. Many small productions: discover and taste them! It is one of the most important Renaissance houses in Lombardy. In its rooms and halls there are genuine treasure. 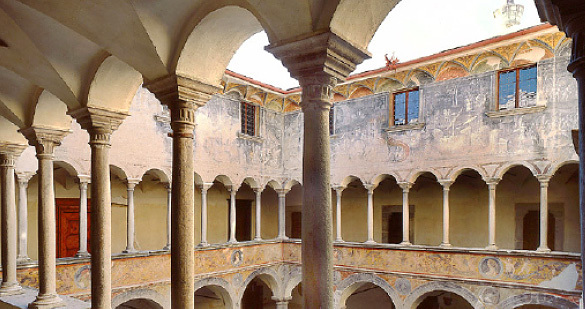 This historical Palace has a boundless beauty and the interior courtyard is framed by a loggia which has agile columns and many frescoes of the Eneide scenes. 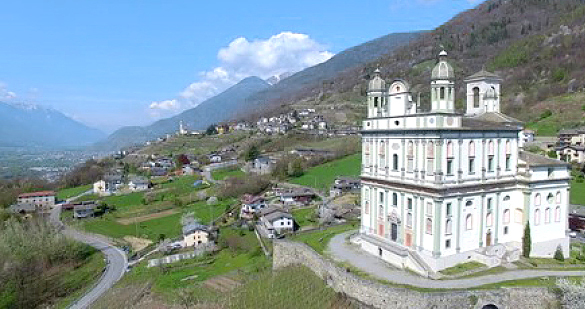 Located among the vineyards of the Tronchedo’s hill, not so far from the Wine Hotel Retici Balzi, this beautiful sanctuary is one the most impressive religious building of the valley. 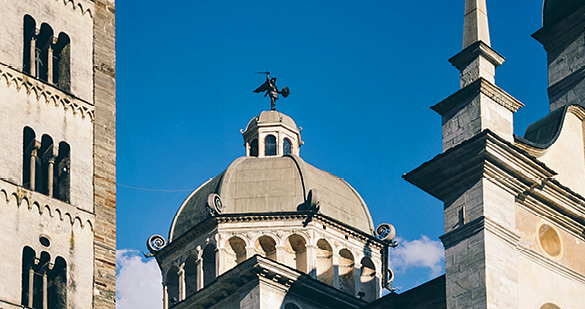 Tirano’s Basilica is without any doubt the most important monument of Valtellina from the point of view of religion, history and art. The Renaissance style of the exterior contrasts with the richness of the internal in which there are stucco, great sculptures and a colossal Baroque organ. 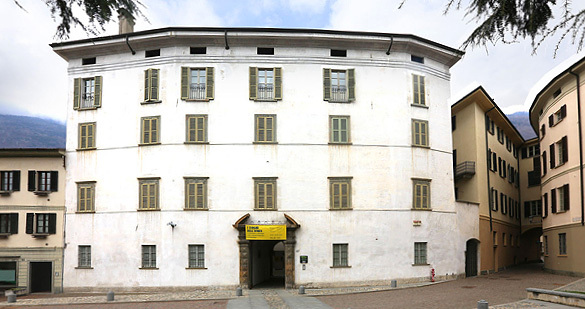 Placed in the city center of Sondrio, inside the “Sassi de Lavizzari’s Palace”, this museum collects archeological evidence of the prehistoric times and Roman times which are able to provide a good overview of the Valtellina’s art history from the Middle Age to modern times.tri.